Boko Haram has been murdering Africans in the name of Islam for years. 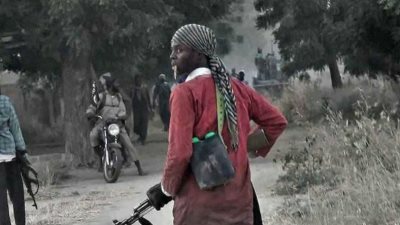 AFRICANGLOBE – The Islamist terrorist group Boko Haram killed at least 60 people in the northeast Nigerian town of Rann on Monday, a day after it was abandoned by the military. The attack on Rann, home to a camp housing tens of thousands of people displaced by the barbarian insurgency, was one of the group’s bloodiest. Two security sources told reporters that Nigerian troops had returned to Rann along with Cameroonian troops from a multinational task force after the first attack on Jan. 14. A video of the attack showed people gathering belongings and fleeing, screaming, as the town burned.